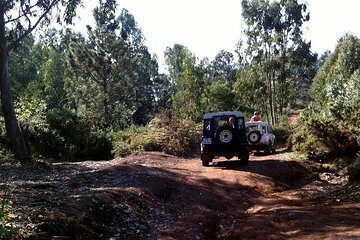 Access territory off the beaten path in Funchal during this small-group tour via 4x4 vehicle. With a small group of just eight people or fewer, you'll enjoy an intimate atmosphere and plenty of time to ask questions. Listen to guided commentary as you pass through tiny farmsteads, the Nuns Valley village, and a local bar to taste typical Madeira wine or poncha cocktails.